Now building quite the resume’ of quality games, German adventure game developer Daedalic Games have crafted quite the reputation among adventure game aficionados as being the modern Lucas Arts. Games like Deponia (seriously go play that game!!! ), Gemini Rue, The Dark Eye, and Edna and Harvey they have proven time and time again that they can nail gut-busting humor mixed with stark dramatic themes and engulfing narratives out of the park as well as the Lucas Arts games of the past. 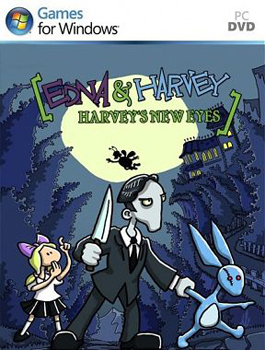 Their latest game Harvey’s New Eyes, their follow-up to Edna and Harvey, has recently been released to a world-wide market with its English localization and picks up the tale of mental asylum escapee Edna not to long after the events of the first game transpired. But unlike the original adventure, you no longer control Edna or explore rooms of a lively animated nut house. No, Harvey’s New Eyes puts you in the shoes of the cute-as-a-button, super shy, always a goody-two-shoes Lilli and into the Catholic convent/orphanage to which Edna has escaped and befriended the timid outcast Lilli. Her eventual adventure to aid Edna in a time of need quickly leads to one of the funniest games I’ve played all year. 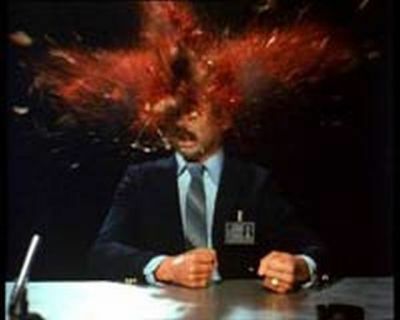 It also leads one of the most twisted and dark games I’ve played in years being able to match the tone of dark adventure games like I Have No Mouth and I Must Scream while still having this bright, happy, and cartoony aesthetic written all over it.